What is Stretching or Gauging? Stretching is a form of body modification where a healed piercing is slowly expanded to accommodate a larger gauge (size) of jewelry called a plug. In essence, this is a process where you are gradually expanding the hole of an earlobe piercing. A small lobe piercing can be stretched to a much larger size when it is done appropriately. Many people refer to the stretching process as “gauging,” although the technically correct term for the act is “stretching.” Ear piercings are one of the most common piercings that are stretched, but they are not the only piercing that can be stretched. The act of stretching has been around for thousands of years and it has been seen throughout history as a rite of passage in tribal cultures. 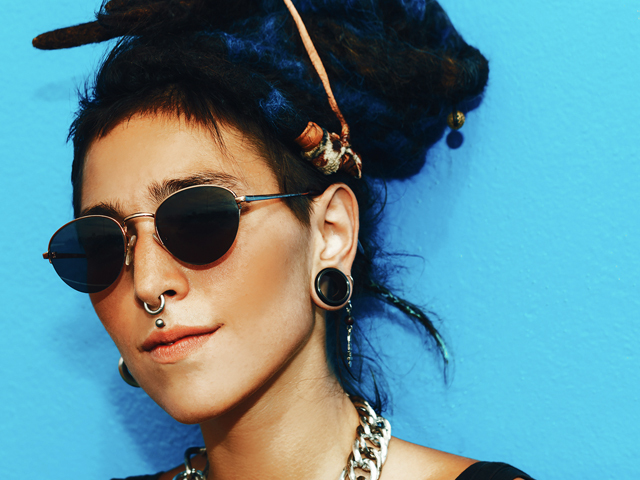 Ear stretching has made its way into western culture with growing popularity. One common misconception about ear stretching is that you need to have other body modifications to do this. But this is not true, both those with many modifications and those who only have ear piercings can stretch their ears and look great. There is no judgement in the body modification world when it comes to stretching your ears as long as you are doing it appropriately and safely. Stretching your ears can be done for many different reasons and it is very much an individual preference. Many people stretch their ears simply because they enjoy the process, while others enjoy the vast array of jewelry and style options that stretching allows. How large you stretch your ears is a personal choice and preference, and this guide will walk you through the nitty gritty of the ear stretching process. Regardless of your reason for stretching, this website will help you stretch your ears properly and safely. This is an intensive walk-through that will answer any and all of your questions when it comes to ear stretching. We have a “Frequently Asked Questions (FAQs)” section or your questions could be answered in the step-by-step stretching guide. Stretching your ears is a journey, it does not happen immediately, and you will be joining a community of people who have been on a similar journey. Every stretching journey is different, so you will get a unique perspective on how to stretch your ears the correct way. And, you can take the comfort of knowing you are not alone when it comes to running into troubles. Each step of this guide will provide you with a different aspect of stretching. This includes the very basics of stretching, what you might need for tools, tips on the beginning stretches, aftercare guidelines, and what to do to take care of your ears after you have stretched them successfully. Looking to stretch or gauge your ears? You've come to the right place! This is a step-by-step guide to the process of safely stretching your earlobe piercings..